Xi’s Maoist vision for control over Chinese art is at odds with China’s quest to expand its cultural influence abroad. Xi Jinping urged China’s authors, actors, directors, and artists to focus on creating “moral art” on Wednesday, in remarks made at a symposium in Beijing. Xi’s remarks were delivered before an audience including many of China’s most famous cultural icons, including Nobel Prize-winning novelist Mo Yan and director Feng Xiaogang. In his remarks, Xi blasted the pursuit of money in the entertainment industry, warning artists not to become “slaves” to the market by producing works tainted by the “stench of money.” Instead, he encouraged artists to “disseminate contemporary Chinese values, embody Chinese traditional culture and reflect Chinese people’s aesthetic pursuit.” He placed a particular emphasis on the need for artworks to stress patriotism and socialism. Xi called for patriotism to be “the main theme” of art works, and said that all art must present “correct” views of history, nationality, and culture. The CCP’s attempts to use art to further its political agenda dates back to before the founding of the PRC. 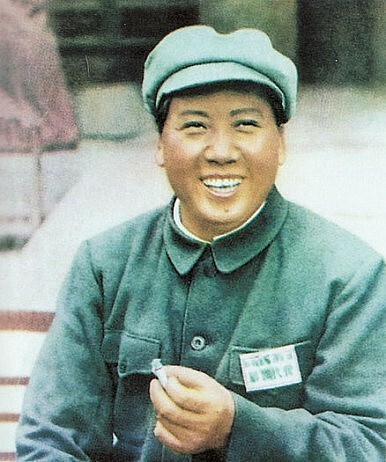 In 1942, Mao Zedong gave a famous speech on literature and art from the CCP stronghold in Yan’an. In it, Mao put the “cultural” front of the CCP war for control of China on par with the military front. In Mao’s mind, art works must “fit well into the whole revolutionary machine as a component part … [and] operate as powerful weapons for uniting and educating the people and for attacking and destroying the enemy.” Mao’s idea of “correct” art was based strongly on class stance, an idea that would find its apex in the eight “model plays” of the Cultural Revolution. While Xi Jinping makes no mention of class, his emphasis on the importance of art as a tool for shaping the Chinese nation is similar to Mao’s view. And like Mao, Xi believes that the power of art makes it necessary for artistic endeavors to be guided and controlled by the CCP. The piece concluded, “Economic power alone cannot make a country respected. As the nation is now seeking a rejuvenation of its ancient greatness, it is time for Chinese culture, including literature and arts, to catch up.” The CCP dreams of a future where Chinese art works are global ambassadors for Party-approved Chinese values, promoting patriotism at home and Chinese soft power abroad. However, most foreign analysts of China’s film and literature argue that the CCP’s tight control over artistic works is precisely what hinders the development of world-class works. Movies and novels alike are subject to unpredictable, often capricious censorship from on high; that encourages self-censorship on top of actual edits required by the CCP. Last year, Chinese director Feng Xiaogang decried the “torment” of censorship and it stifling effect on films. “To get approval, I have to cut my films in a way that makes them bad,” Feng complained, pointing out that Hollywood directors don’t face these restrictions. China’s Crisis of OverconfidenceTime to Counter China and Rebuild the US Navy? The Obstacles to China's Bid for Soft PowerChina's Innovation Dream: Mission Impossible?What Do the Panama Papers Reveal About China?